adidas, today announced the launch of adidas Creators Tennis Open in India. Aligned to the brand philosophy, adidas continues to encourage and nurture grassroots Tennis in India by bolstering budding tennis players to show and test their skills with the best in the league. The Tennis tournament will deliver a brand new and inspiring concept enabling young tennis players to participate and learn under the guidance of ace Tennis coach, Aditya Sachdeva. adidas Creators Tennis Open will be held from 24th January-27th January, 2019 in New Delhi. adidas believes in the power of an athlete's imagination and creativity to make a difference in their game, life and world. adidas Creators Tennis Open will offer an authentic yet enthralling experience to young tennis players and enthusiasts. The four-day tournament will be organised at the Panchsheel Club in New Delhi with close to 250 participants and players between 08yrs-16yrs and men's singles and doubles. 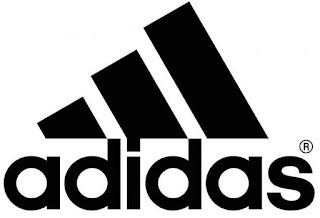 adidas has consistently invested and created new opportunities to boost and nurture grassroots sports in India, it has inspired athletes through initiatives like the FC Bayern Youth Cup, adidas Tango League, adidas Football The Base and now, adidas Creators Tennis Open.